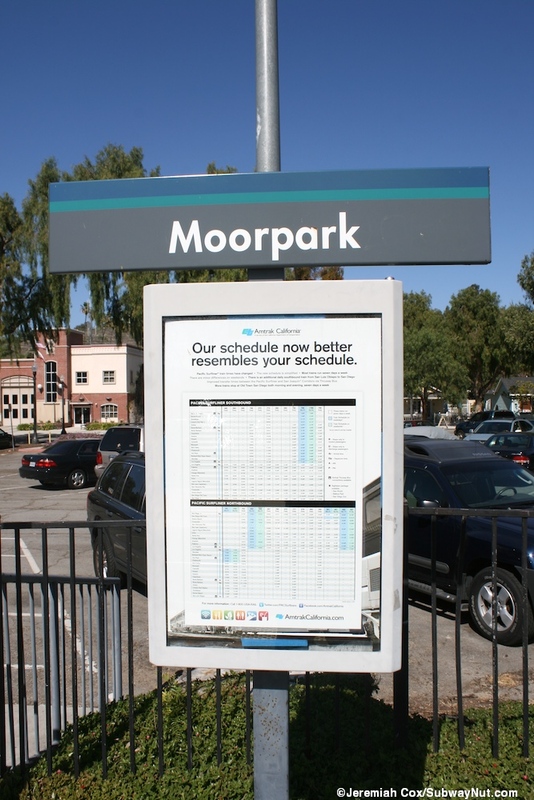 Moorpark is the original terminus of the Ventura County Metrolink line when the system first began operations on Monday, October 26, 1992. 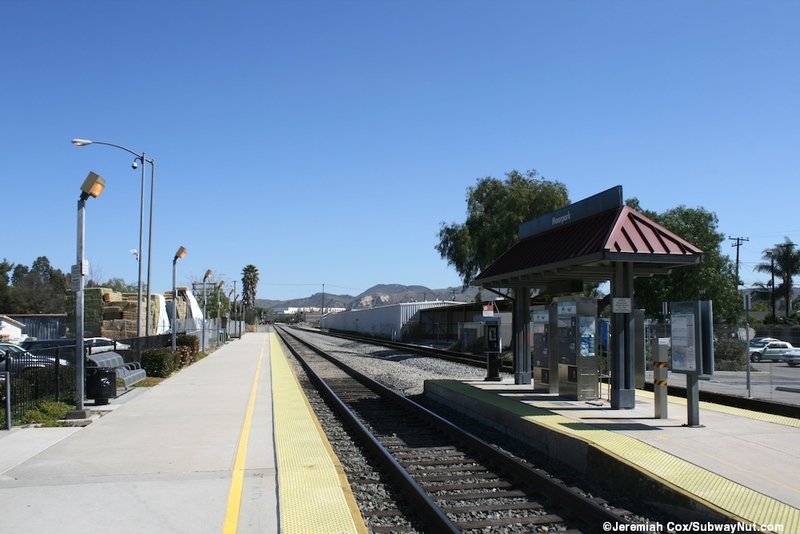 Today it is still the terminus of the limited off-peak Ventura County Line runs (these are supplemented by turns at Chatsworth and some Burbank Airport to Los Angeles only trips) and the line has a four track storage yard at the Moorpark facility, a short ways beyond (across the Moorpark Ave grade crossing from the station), four trains terminate at the station in each direction every day, two are off/reverse peak trips. 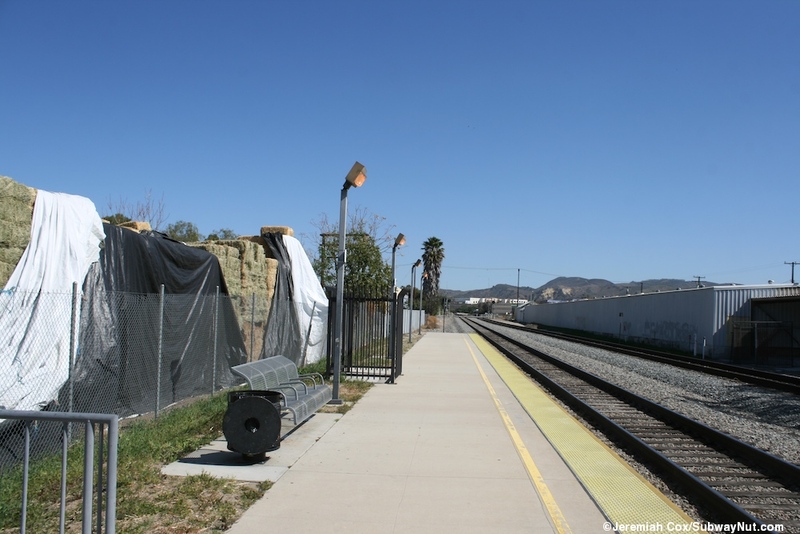 Only one though needs to be stored overnight and through the weekend when there is no service on the Ventura County Line. 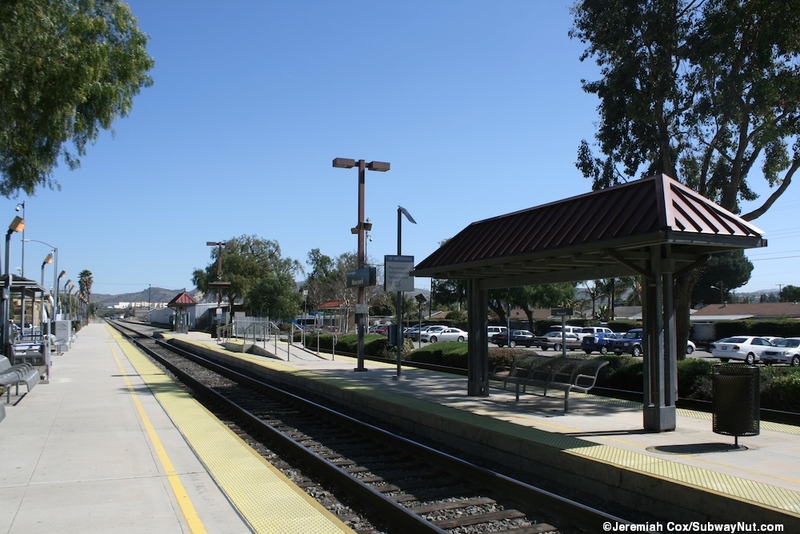 These are supplemented by the three peak direction only trips that stop at the station on their way to East Ventura. 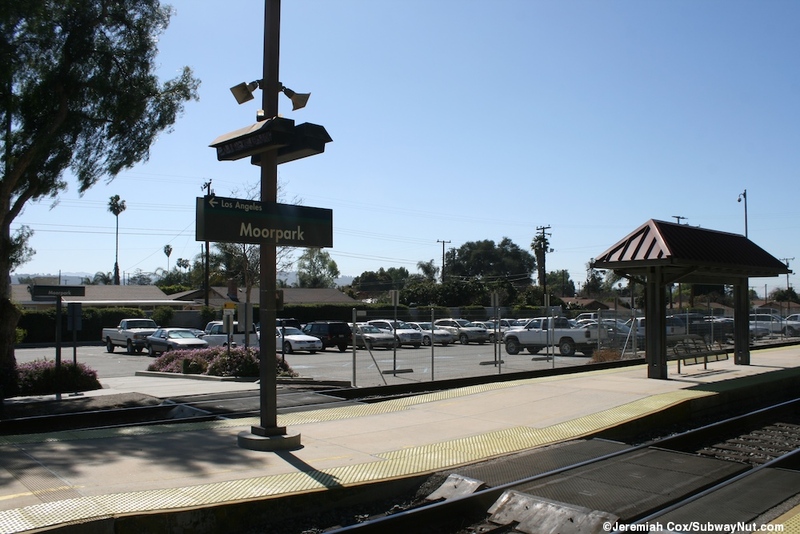 Amtrak began stopping some of its San Diegans at the station just one day before on October 25, 1992 ('Train Set to Stop in Moorpark,' Daily News of L.A., October 23, 1992, Link). 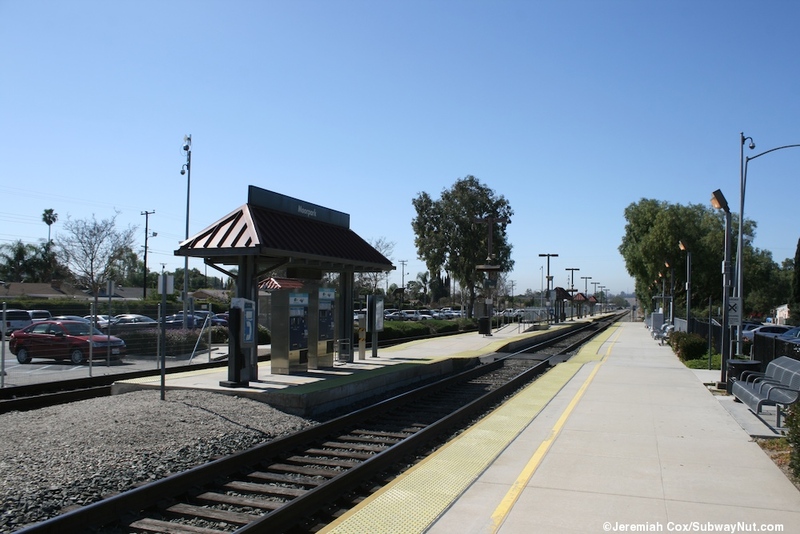 Today it receives limited service from the Surfliner with 3 southbound and 2 northbound trains stopping at the station per day, out of five daily round-trips. 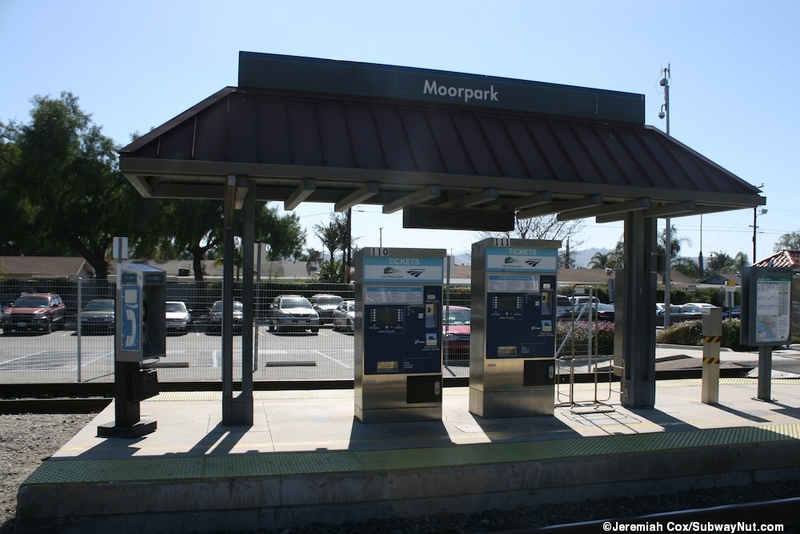 The station is located smack in the middle of a wide block just south of High Street in downtown Moorpark smack in between the grade crossings with Moorpark Avenue and Spring Road. 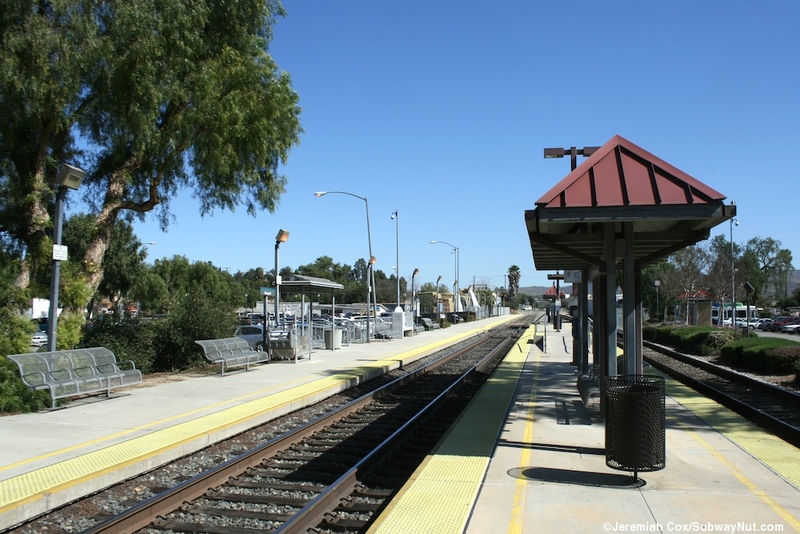 The station has two platforms for two tracks in an odd configuration. 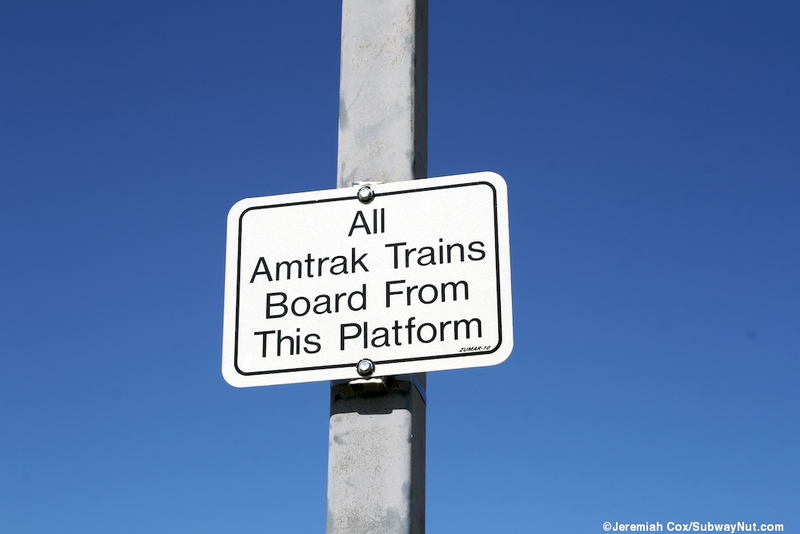 The north side platform is where all Amtrak trains stop. 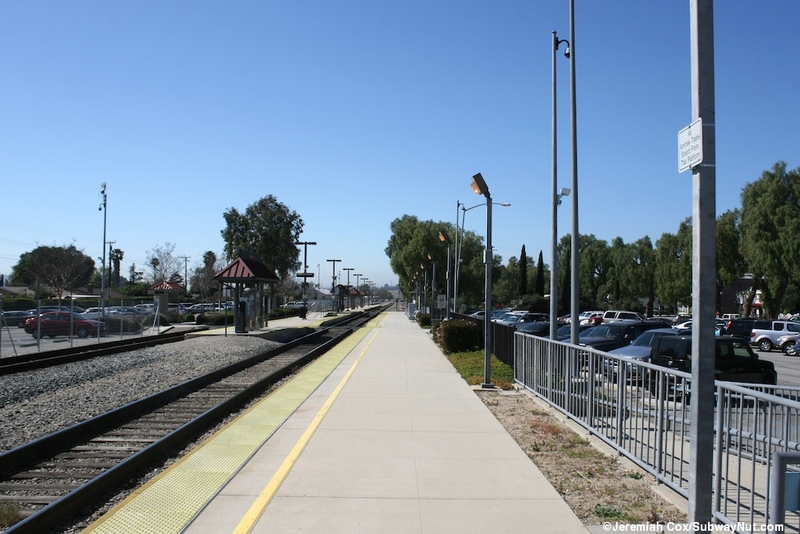 It is a side platform with just a line of ugly, angled lampposts with a few benches. 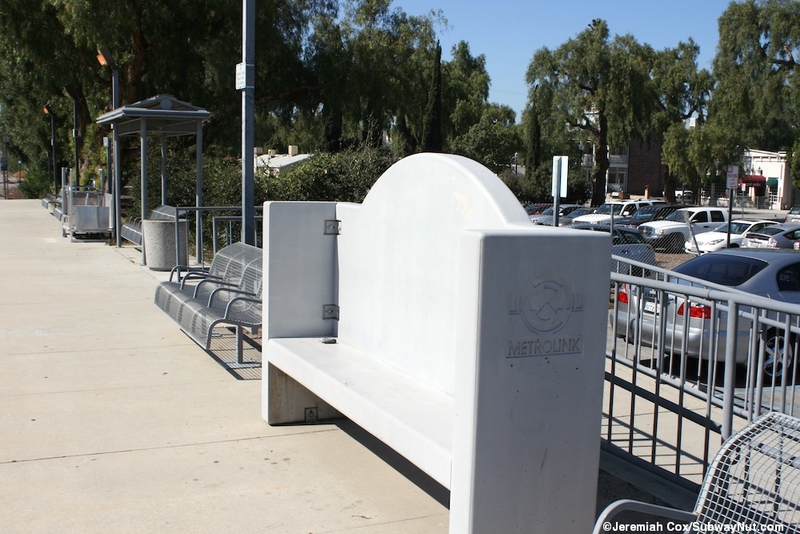 For cover one has a bus stop like canopy. 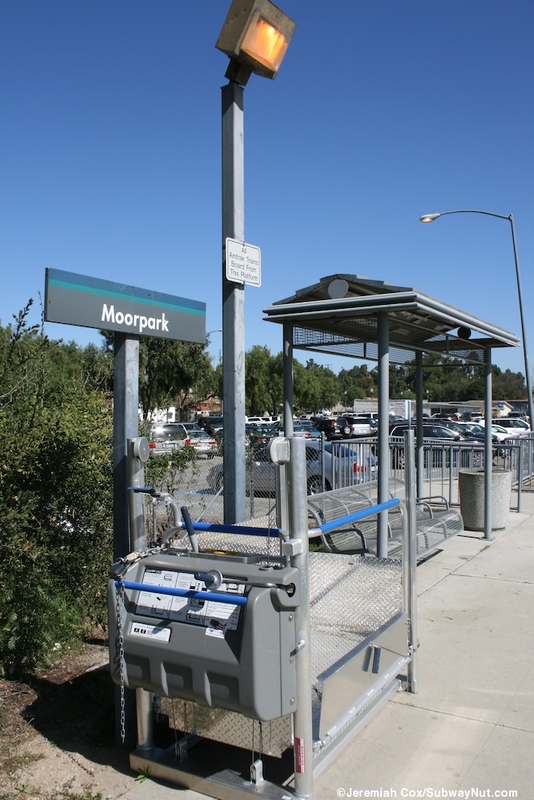 There is a mobile-lift right on the platform. 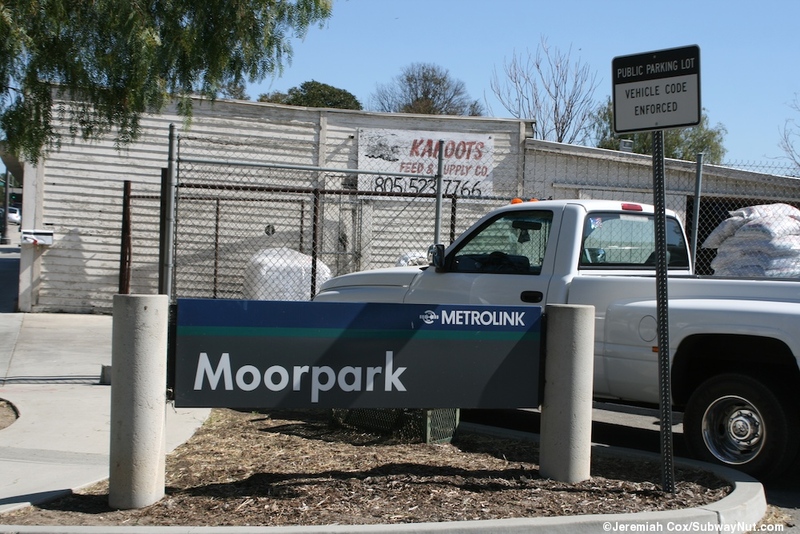 It leads out to a small parking lot and High Street just beyond where local City of Moorpark Transit Buses stop at VISTA East County buses to Thousand Oaks and Simi Valley. 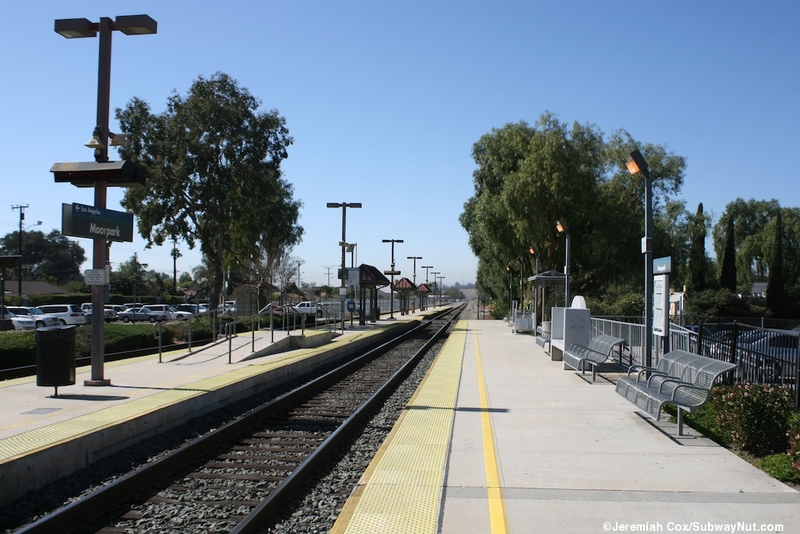 An island platform between the two tracks is used by all Metrolink trains, it is offset slightly to the west from the side platform, at two grade crossings connect over to it from the side platform and to the parking lot south of it (each one is at the end of one of the platforms). 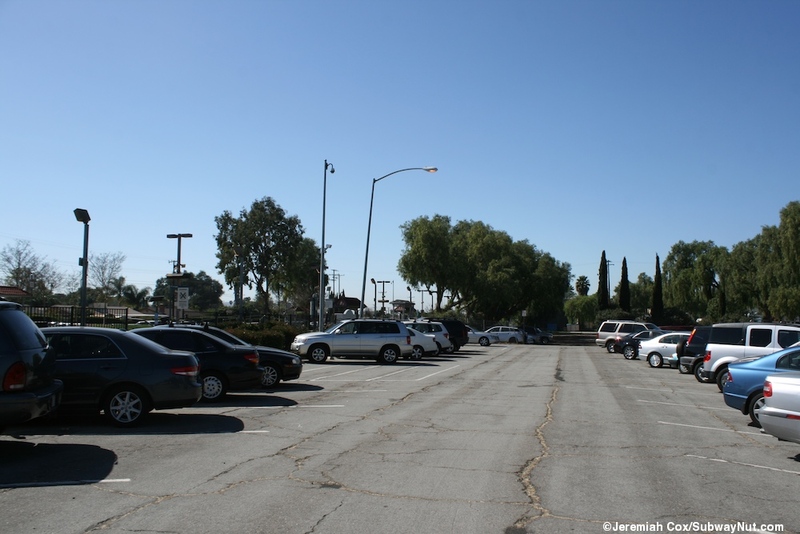 This leads down to the larger parking lot south of the station where the majority of the stations 270 parking spaces are in a parking lot. 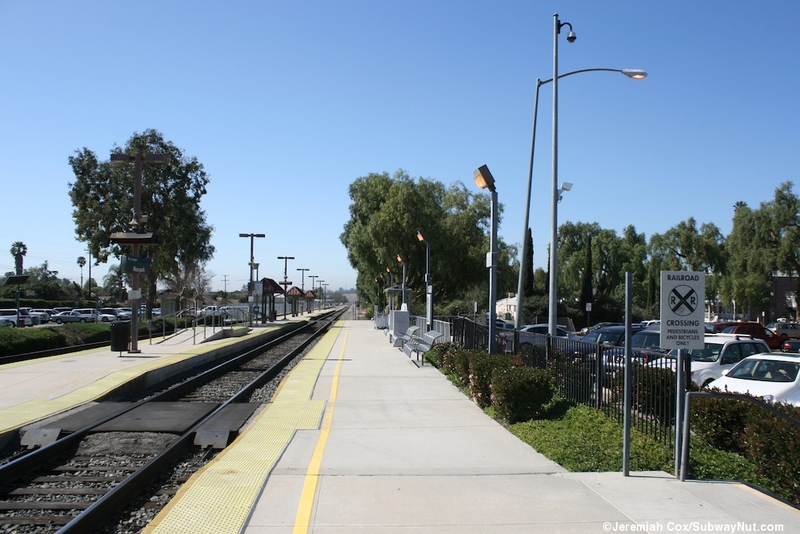 An access road and landscaped pathway leads to the only southern entrance right next to the grade crossing west of the station at Moorpark Avenue. 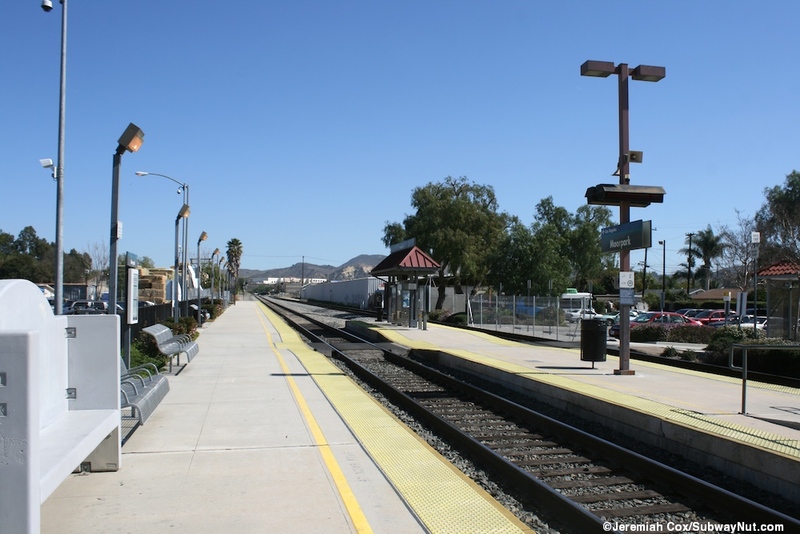 The actual island platform starting from the east begins with a payphone at the end of the platform where one of the pedestrian grade crossings is. 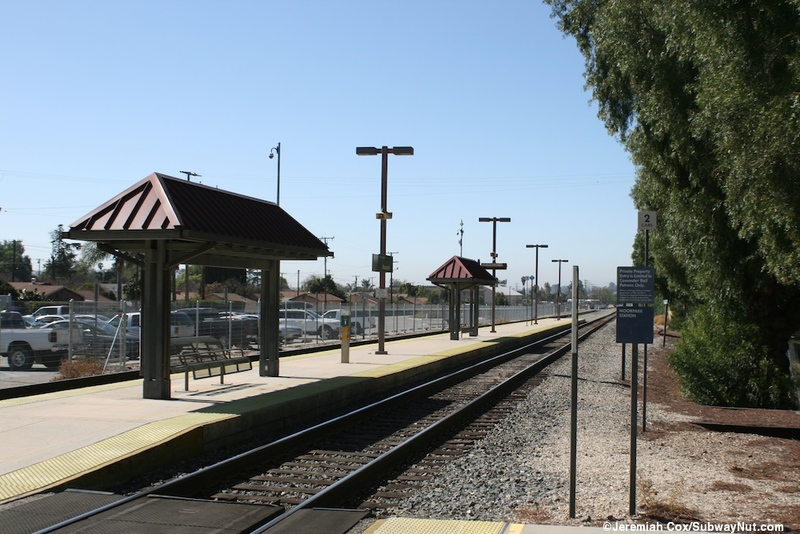 This is followed by a modern shelter with the station's two TVMs beneath. 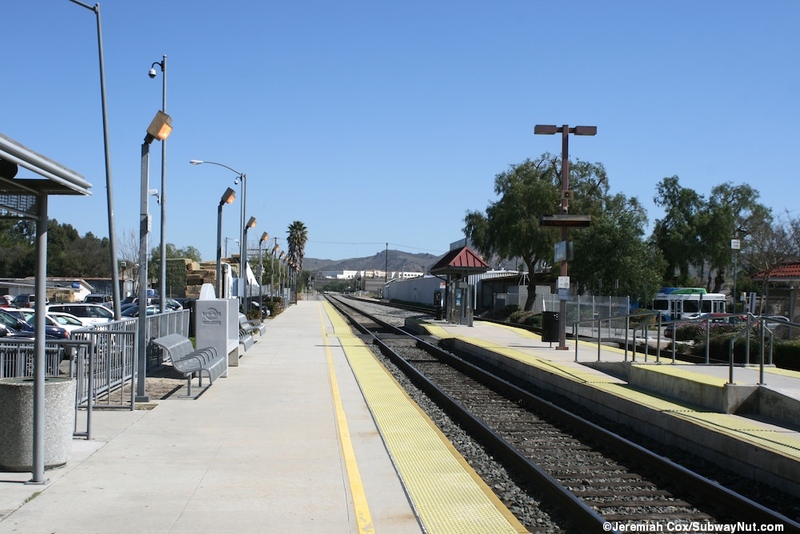 Next is the single wheelchair mini-high platform that takes up the entire island platform with ramps on either end, and bridge plate access to both tracks. 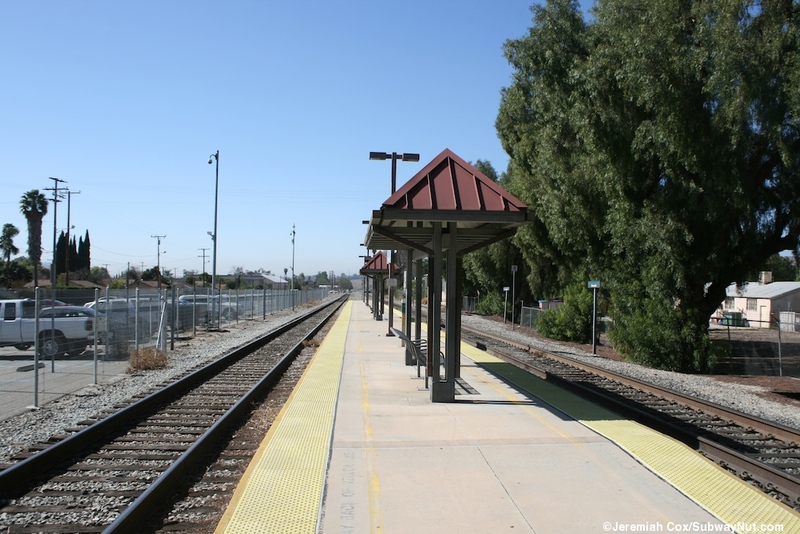 The platform continues to the second pedestrian crossing and beyond that are three more modern canopies (each with a red gabled roof) sheltering a bench each for waiting passengers.